This tour is operated by Grayline and is a great option for those staying in NY for only a short time. 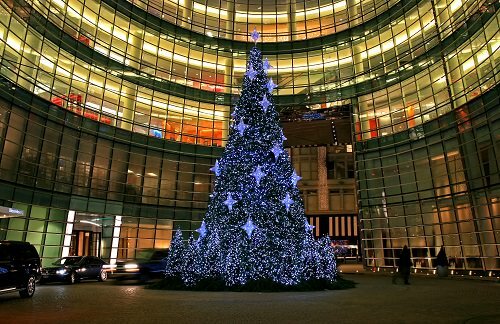 On the tour, you will see some of the most popular New York attractions and the best holiday lights the city has to offer. You are sure to see Central Park, 5th Avenue, Times Square, the Laser Light Show at Grand Central Terminal and, of course, to stand in front of the Rockefeller Center Christmas tree! Some additional sightseeing attractions include St. Patrick’s Cathedral, Trump Tower, Radio City Music Hall, and more!